The Novus Rehab staff are a unique group of people in many ways. Remarkably qualified? Absolutely. Incredibly smart? You bet. Enthusiastic? Definitely. Even more important is the impressive level of dedication our team shows for their clients. We love what we do, and we show it. Because we are an extensive group of therapists, each of whom have specific and distinctive specialties, the opportunity for sharing of knowledge is fantastic. What this means for you is that your therapists can draw ideas and resources from each other and work together to find new ways to solve all kinds of challenges. You will have a whole team collaborating towards the common goal of getting you back on your feet! Whether you are an injured party, family member, employer, hospital staff, or lawyer acting on behalf of your injured client, with Novus Rehab you can count on clinical excellence with a human focus. It’s what we do. 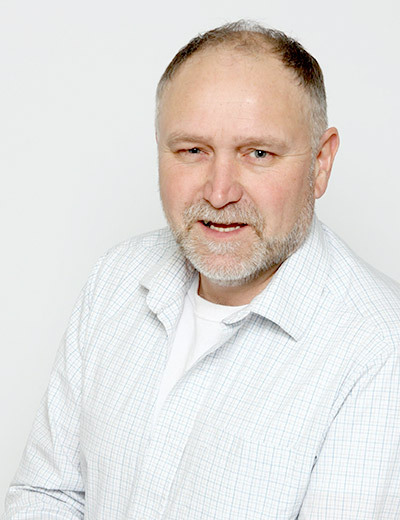 Larry is a Registered Nurse with specialty certification as an Occupational Health Nurse and has been working in the health care field for almost 30 years. His clinical experience includes hospital and community based assessment and rehabilitation of clients with physical, developmental, neurological and mental health conditions in the capacities of staff clinician, supervisor, director, educator and/or consultant. In 1999 Larry began working as a Nurse Case Manager in the automobile insurance sector and in 2005 he opened Genesis Rehabilitation in partnership with his wife, Lisa. Genesis Rehab has since evolved into Novus Rehabilitation. Larry spends as much time as possible outdoors, and enjoys canoeing, camping, fishing and even cutting the grass. 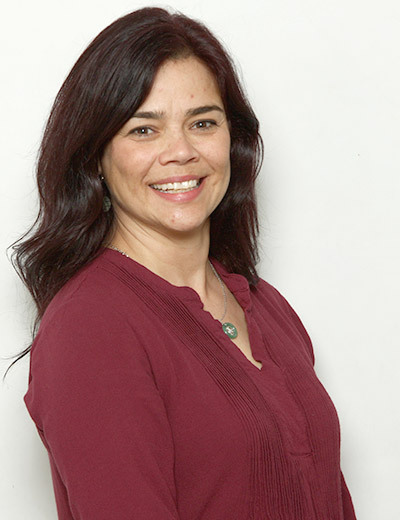 Cheryl obtained her undergraduate degree in Psychology and Health at Queen’s University after which she completed her Bachelor of Health Science degree in Occupational Therapy at McMaster University. Cheryl found her calling in the auto insurance sector and has significant experience working with people with diverse physical, cognitive and neurological concerns to maximize their participation in daily activities. Cheryl’s main focus in clinical practice is in the assessment and treatment of those who have sustained complicated injuries, including complex orthopaedic trauma, amputation, spinal cord injury, brain injury or psychological impairment. She has a particular interest in complex wheelchair and seating solutions and is a highly competent Ontario Assistive Devices Program (ADP) authorizer. Cheryl has certification as a PGAP (Progressive Goal Attainment Program) provider. In addition to her clinical practice, Cheryl has an appointment to the Faculty of Graduate Studies at the University of Western Ontario in the School of Occupational Therapy. Cheryl lives in the St. Thomas area enjoying horse-back riding, biking, yoga, and soccer when she is not spending time with her husband and two children. 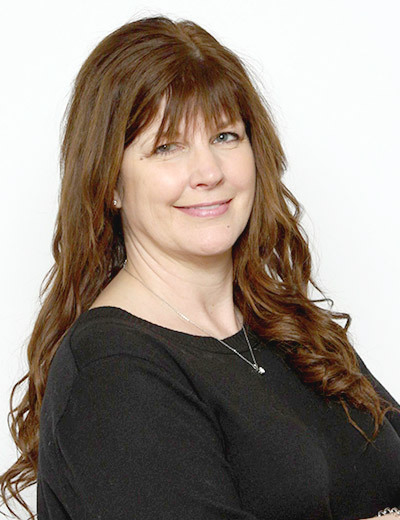 Bonnie is a Registered Nurse whose practice spans over 20 years. Bonnie’s diverse clinical experience includes hospital and community based assessment and rehabilitation with both non-catastrophic and catastrophic clients with orthopedic, cognitive, psychiatric and neurological conditions. Bonnie has extensive experience using the principles of client-centered care within the context of a multidisciplinary team approach. She is an effective service provider who establishes positive interpersonal relationships in support of the medical recovery of her clients. Bonnie lives in St. Thomas where she enjoys spending time with her family and friends. 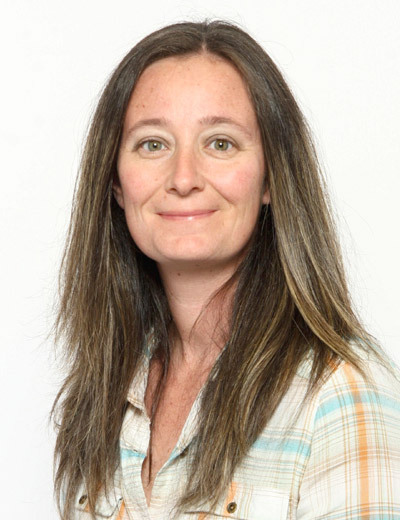 Melissa completed her Bachelor of Arts (Honors Psychology) in 2002 followed by her Master of Education (Counselling Psychology) in 2005 from Western University. The focus of Melissa’s education has been to obtain the skills and knowledge required to provide individual and group counselling; she has been working mainly with individuals involved in motor vehicle collisions since 2005. Melissa specializes in psychotherapy, case management and vocational counselling services and has been qualified as an expert witness at trial. Melissa lives in London and enjoys cooking, travelling, and spending time with friends and family. Tina graduated with a Bachelor of Sociology and an inter-disciplinary study in Criminology from the University of Waterloo. She has completed Acquired Brain Injury Certificate Level I and Neuro-Cognitive Behavioural Approach Level II certificates in addition to on-going professional development through conferences, seminars, and collaborative learning. Tina acquired her Vocational Testing Certification and Skills Training (C.V.E) through Thomson Nelson. Additional clinical experience includes case management and active rehabilitation for clients with physical, developmental, neurological and mental health conditions. Cathy graduated with her Honours Bachelor of Science in Kinesiology from the University of Waterloo. Since then Cathy has become a Certified Functional Abilities Evaluator and Interpreter. She has extensive experience performing worksite assessments including Physical Demands Analysis and Ergonomic Assessments. 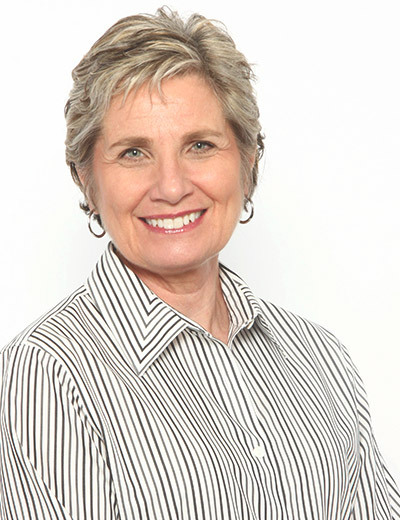 As a certified exercise physiologist, Cathy has tremendous experience working with clients with orthopedic injuries, spinal cord injuries and acquired brain injuries as a Rehabilitation Therapist. Cayley graduated from Western University with a Bachelor of Arts Honours specialization in Kinesiology. 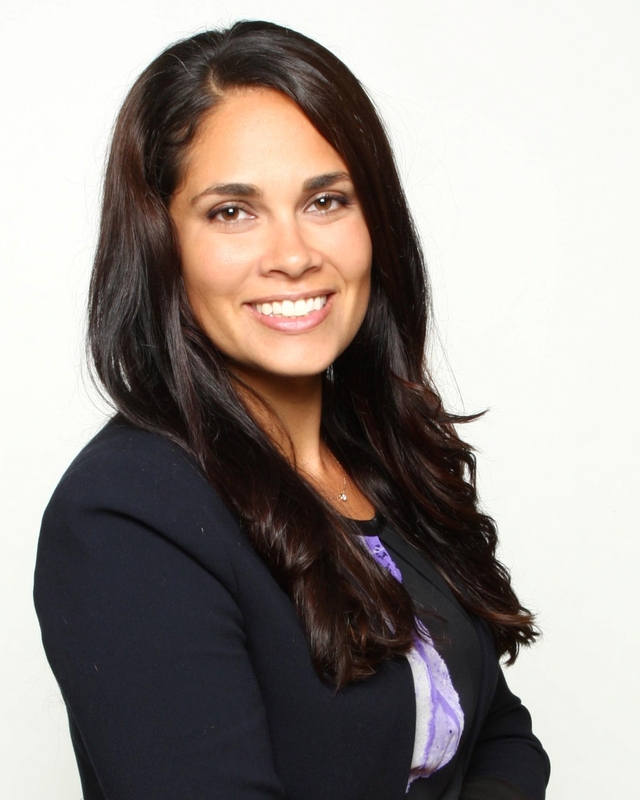 She has extensive experience working with clients who have suffered injuries of all types ranging from soft tissue injuries to significant orthopedic injuries, amputation, spinal cord and acquired brain injuries. Cayley brings her enthusiasm to her clients’ care from their acute stages in hospital to their return to home and in the community. Cayley works in the London, Exeter, Goderich and Sarnia areas and has an extensive knowledge of available community resources. She is able to provide services that include work hardening, compensatory strategies to assist in activities of daily living or vocational pursuits, community reintegration, job coaching, personal fitness training and adjustment to injury. 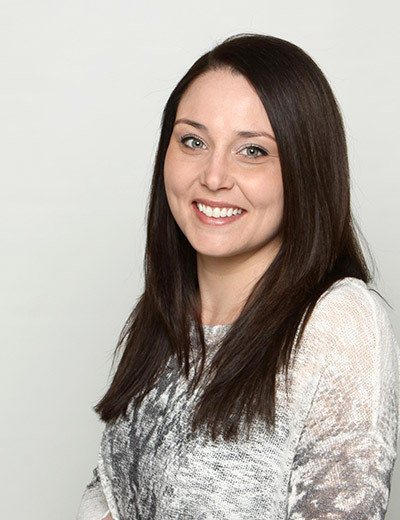 Ashlen completed her Bachelor of Health Science degree at Western University and went on to obtain her Master of Science in Occupational Therapy at McMaster University. Ashlen has considerable experience assessing function and the impact of physical and cognitive impairment on an individual’s ability to fulfill their daily life roles and responsibilities. 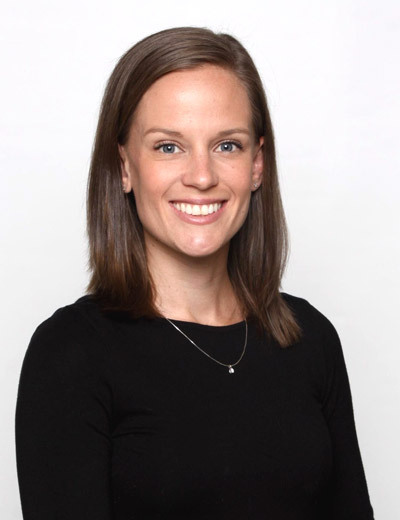 Ashlen’s experience includes hospital-based assessment and treatment within acute, rehabilitation, and orthopedic settings, as well as community-based assessment and rehabilitation of individuals who have sustained catastrophic injuries. She has worked closely with clients who have an array of physical, neurological, cognitive, and mental health conditions. She is a certified Progressive Goal Attainment Program (PGAP) provider and Life Care Planner. Ashlen lives in London where she enjoys reading, hiking, and spending time with her family and friends. 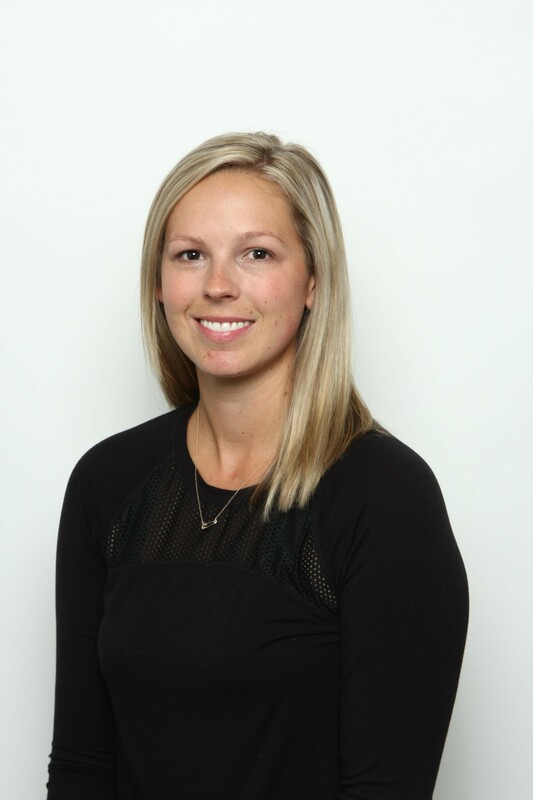 Jenn obtained her graduate degree from the University of Waterloo, Ontario with special interest in rehabilitation and biomechanics. Her thesis was done in collaboration with the Faculty of Medicine’s Department of Orthopedics at Western University. 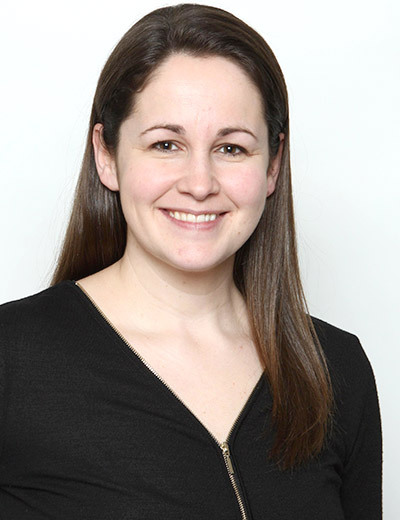 Jenn taught in the Department of Physiotherapy at Western University and has lectured to occupational therapy students regarding the quantification of future care damages for disabled persons. She has completed over 1000 life care plans/future care cost analyses for disabled clients with injuries including but not limited to spinal cord injuries, acquired brain injuries, orthopaedic / musculoskeletal, amputations, visual and hearing deficits, burns, developmental impairments (medical malpractice). She has qualified as an expert in future care costs, provided expert testimony in the Courts of Ontario and remains actively involved in continuing education. 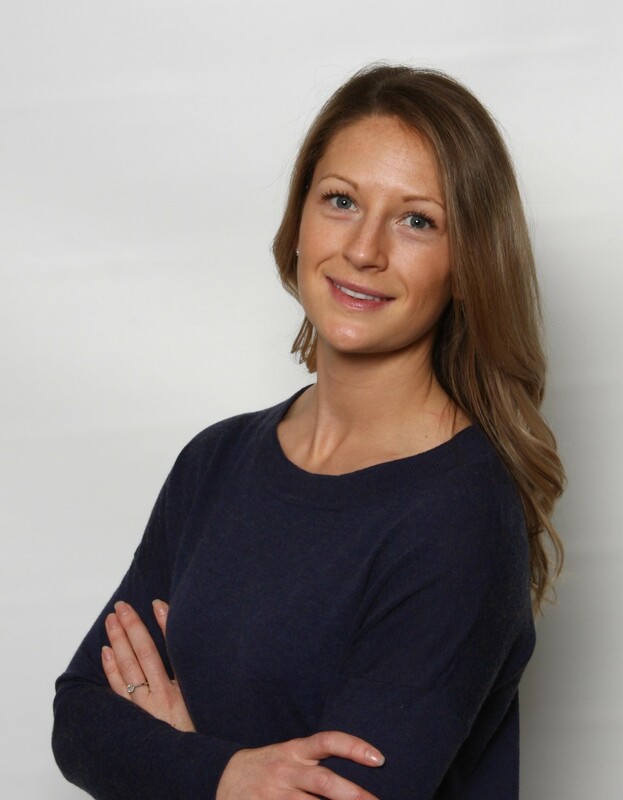 Amanda completed her Bachelor of Arts degree in Kinesiology at Wilfrid Laurier University and went on to obtain her Bachelor of Education at Western University; she is currently a certified teacher. Following her teaching degree, Amanda attained her Master of Science Occupational Therapy degree at McMaster University. 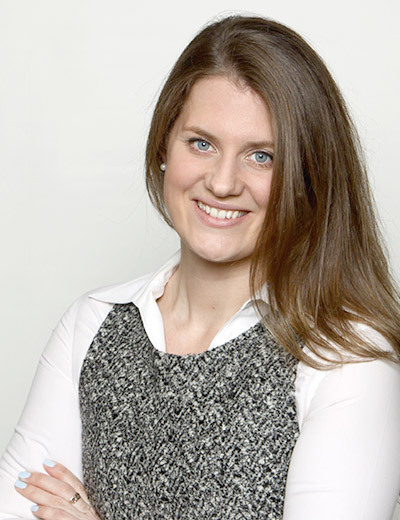 Amanda has experience assessing and intervening with a variety of clients. Most of her experience within the past few years has focused on pediatric clients. However, she has also provided occupational therapy services to clients within their homes, through an augmentative and alternative communication clinic, and within the hospital. 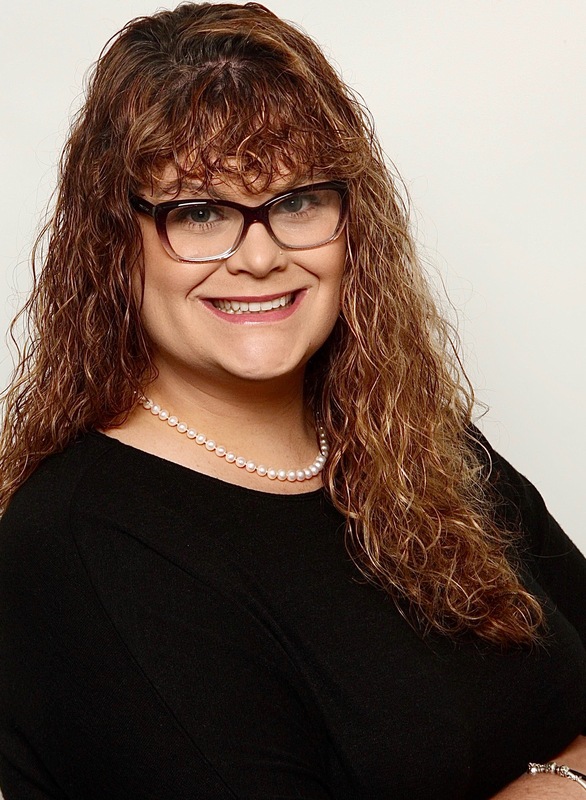 Amanda strives to enable clients to create meaningful, effective goals that allow them to enrich their independence through collaboration and teamwork. Amanda currently lives in London where she enjoys group fitness classes, watching movies, and spending time with family and friends. 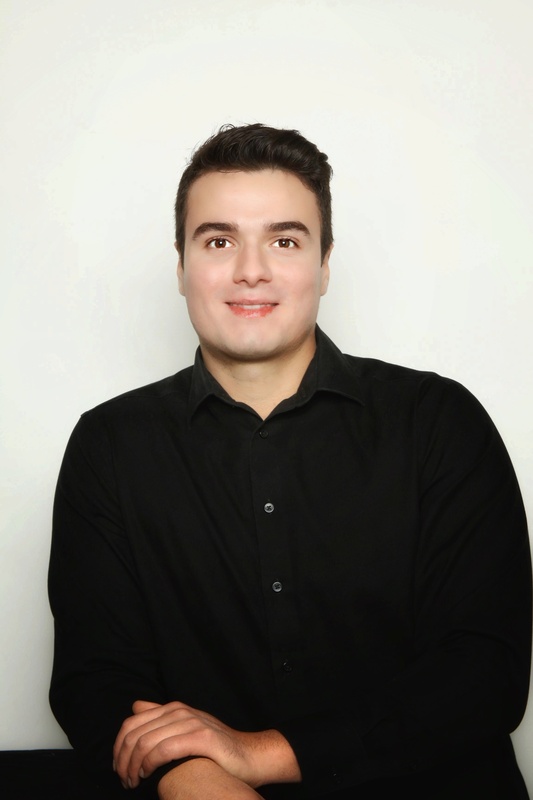 Amjad completed his Bachelor of Science (Honours) degree at Ryerson University, and went on to obtain his Master of Science in Occupational Therapy at Western University. Amjad’s focus is to empower clients in overcoming any barriers to meaningful activities and help them regain independence. He has experience with assessment and treatment in orthopedic, acute care, complex care, mental health, as well as community-based settings. He has worked closely with clients who have developmental, physical, and mental health conditions. Amjad is passionate about research and different ways to integrate patient values, clinical practice, and external research evidence. Cheryl lives in the St. Thomas area enjoying horse-back riding, biking, yoga and soccer when she is not spending time with her husband and two children. Crystal completed her Honors Bachelor of Arts in Psychology followed by her Master of Science in Occupational Therapy at Western University. Crystal’s main focus in clinical practice is to help clients maximize their function and their participation in activities of daily living. She has extensive experience in the assessment and treatment of those with wide-ranging injuries as well as those afflicted with progressive disorders, particularly arthritis and Alzheimer’s disease. She is proficient in her expertise of wheelchairs, positioning and ambulation aids as an Ontario Assistive Devices Program (ADP) Authorizer. She is a certified Progressive Goal Attainment Program (PGAP) Provider. Crystal lives in London where she enjoys playing baseball, running and spending time with her family. Kelly earned her Honours Bachelor of Arts in Kinesiology and her Master of Science in Occupational Therapy from Western University. She continues to study in her spare time…. for fun. 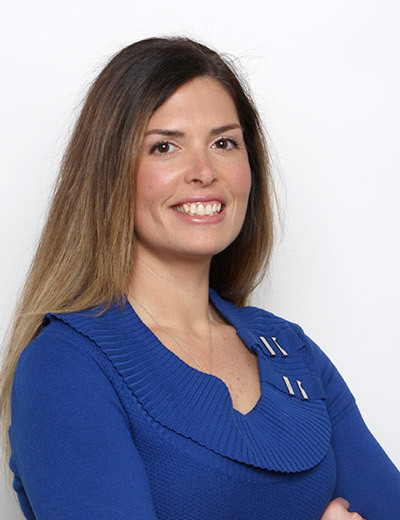 Kelly practices in the auto insurance sector providing assessments and treatments to clients with a wide variety of injuries including spinal cord injuries, traumatic brain injuries, complex orthopedic injuries, amputations, psychological impairments and chronic pain. She is certified in the Assessment of Motor and Process Skills (AMPS). Her scope of practice includes assessment and treatment related to physical, affective and cognitive function, adaptive behavior, the prescription of assistive devices, and rehabilitation and maintenance within the areas of self-care, productivity, and leisure. Kelly lives and works out of the Exeter area, where she enjoys spending time with her husband and three children. Kirsten graduated with her Bachelor of Kinesiology (Honours) degree at Brock University, and went on to obtain her Master of Science in Occupational Therapy at Western University. She is a certified Progressive Goal Attainment Program (PGAP) provider. Kirsten has experience assessing and treating client’s function in a variety of environments, including community-based and hospital-based settings. She provides client centered care by working collaboratively with clients towards their mental and physical rehabilitation goals. Kirsten lives in London where she enjoys running, baking, and spending time with her family and friends. 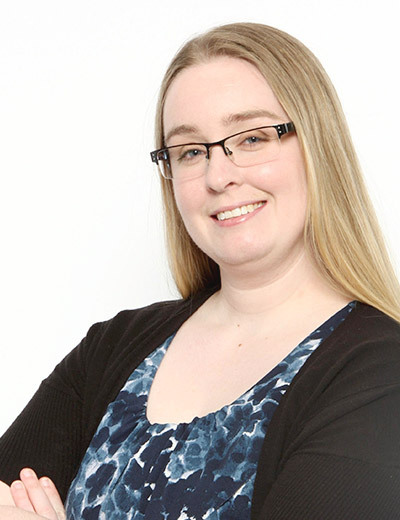 Kristen completed her Honours Bachelor of Science degree in Psychology and Biology at Wilfrid Laurier University and went on to obtain her Master of Science in Occupational Therapy at Western University. She is a certified Progressive Goal Attainment Program (PGAP) provider. 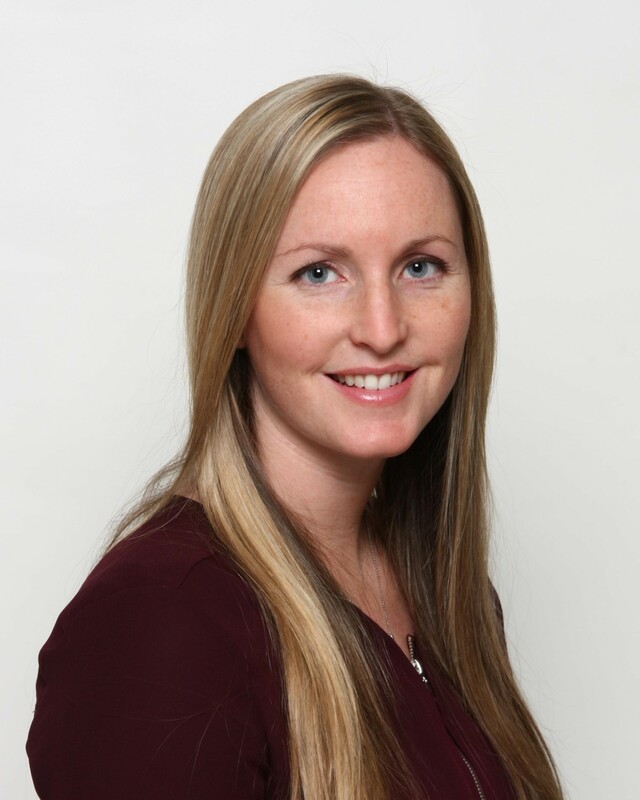 Kristen has extensive experience with assessment and treatment in hospital settings including acute care, orthopedics, outpatient paediatrics, and complex continuing care, as well as community-based settings including school, home and employment. Kristen has a special interest in working with paediatric clients and those who have suffered cognitive sequelae following injury. 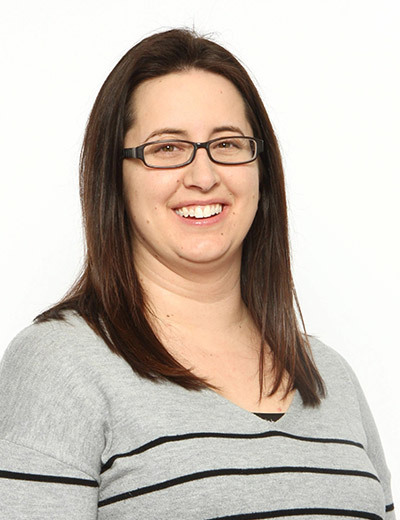 Natalie completed her Bachelor of Physical Education (Honours) degree at Brock University, and went on to obtain her Master of Science in Occupational Therapy at Western University. She is a certified Progressive Goal Attainment Program (PGAP) provider. Natalie helps in maximizing client’s safety and independence, and also supports clients returning to work following an injury. Her experience includes hospital-based assessment and treatment within acute, rehabilitation, and orthopedic settings, as well as community-based assessment and rehabilitation of individuals who have sustained catastrophic injuries. Natalie is committed to supporting her clients through their healthcare journey, using her clinical knowledge and expertise to tailor a custom support plan to meet their individual goals. Natalie lives in St. Thomas where she enjoys running, volleyball, travelling, and spending time with her husband, family and friends. Rachel obtained her Master of Science in Occupational Therapy at Western University after earning an Honours Bachelor of Science in Kinesiology at McMaster University. Rachel has multiple years experience in community mental health care, working with individuals with severe and persistent mental health conditions, as well as experience in home care occupational therapy services. She provides client-centered care by working collaboratively with clients towards their rehabilitation goals. Rachel grew up in a small town and continues to reside in this community. She enjoys spending time with her family, playing sports in the summer months, and occasional trips to the cottage. Shannon completed her Bachelor of Arts Degree in Psychology at the University of Victoria, and went on to obtain her Master of Science in Occupational Therapy at the University of Manitoba. She has completed additional training and certification in administering the Functional Capacity Evaluation (FCE). 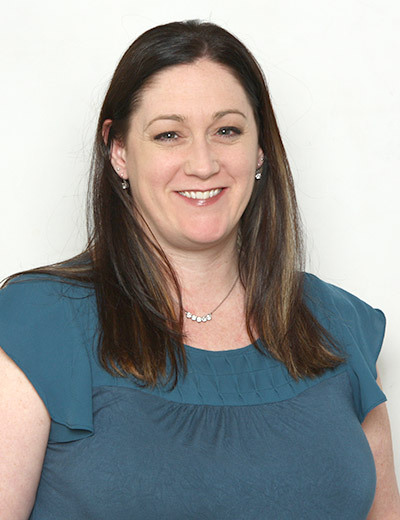 Shannon has clinical experience assessing and treating client’s function in a variety of environments. Her scope of practice includes assessment and treatment related to physical, affective and cognitive function, adaptive behaviour, recommendation and provision of assistive devices and providing rehabilitation and maintenance to maximize client’s function and participation in activities of daily living. She has experience with complex cases including discharge from hospital, and provides assessment and treatment services to those with wide-ranging injuries. Shannon provides client-centered care by working collaboratively with clients towards their rehabilitation goals. Shannon lives and works out of London, where she enjoys spending time with her husband and daughter. 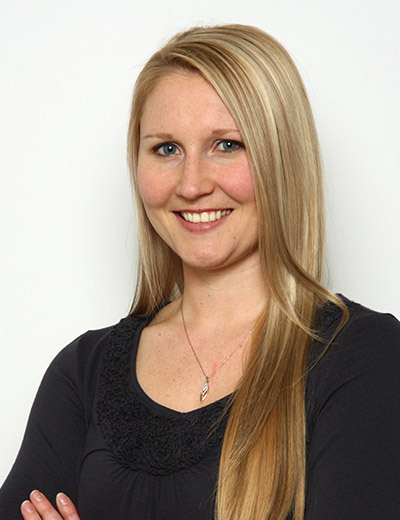 Shannon obtained her undergraduate degree in Kinesiology at Western University, following which she attended Queen’s University to complete her Bachelor of Health Science degree in Occupational Therapy. She is an Ontario Assistive Devices Program (ADP) Authorizer, a certified Progressive Goal Attainment Program (PGAP) provider and is AMPS certified. Shannon’s professional background has provided significant experience treating clients who have various physical, cognitive and neurological concerns so that they can maintain participation in their daily activities. She is skilled in the areas of adaptive equipment and home modifications, and has considerable proficiency in the prescription of complex wheelchair and seating solutions. 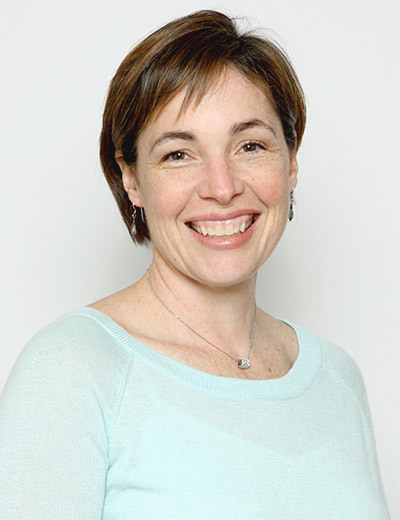 In addition to her clinical practice, Shannon has participated for several years as a guest lecturer in the School of Occupational Therapy at the University of Western Ontario. Shannon lives in London; along with her young children she is very active in her neighborhood promoting healthy eating and physical activity. Troy completed his Bachelor of Science degree in Biology at Western University and continued his education at Western to obtain his Master of Science in Occupational Therapy. Troy believes in being client-centered and working alongside the client to regain their independence in those activities that they find meaningful. Troy has worked with individuals of all ages as well as individuals with physical, cognitive, behavioural and mental health concerns. 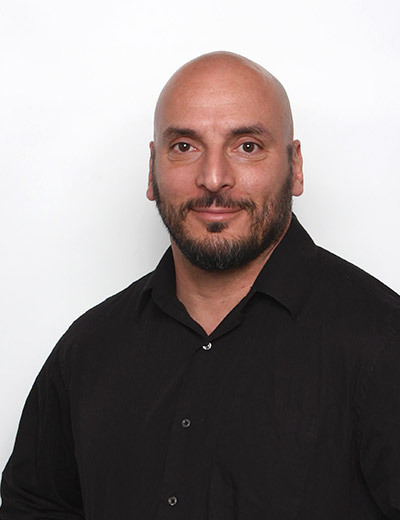 Troy has clinical experience and gained practice knowledge in acute care hand therapy and mental health. Troy lives and works out of London where he enjoys playing his guitars, visiting dog parks with his dog and spending time with friends and family. 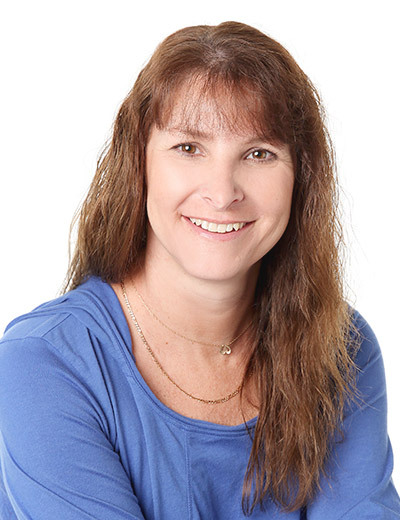 As a certified exercise physiologist Cathy has tremendous experience working with clients with orthopedic injuries, spinal cord injuries and acquired brain injuries as a Rehabilitation Therapist. Michelle completed her Bachelors of Disabilities Studies at the University of Windsor Ontario. She also has her Developmental Services Worker diploma from Humber College as well as her Vocational Rehabilitation Certificate from Seneca College. Michelle works in the Windsor/Essex and Chatham-Kent area providing services that include exercise therapy, aqua therapy, community reintegration and vocational counselling. Michelle’s focus is working on goals that are important to her clients on their path to recovery and wellness. 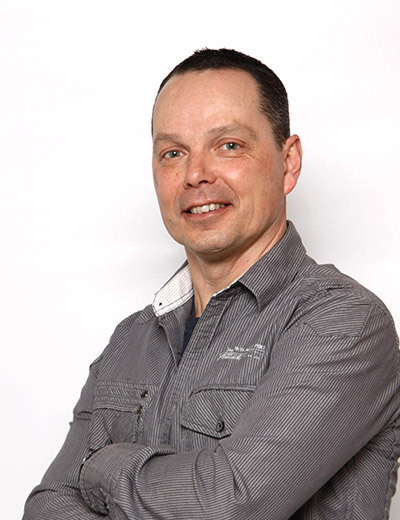 Steve graduated from the Developmental Services Worker program at Fanshawe College in 2000. He has continued his education in the field of rehabilitation with a strong focus on acquired brain injury; completed courses include Neurobehavioural Treatment Strategies, Introduction to Chronic Pain, Rehabilitation for Children with Acquired Brain Injury – Level 1 and ABI and Addictions to name a few. Steve has worked with a diverse population of persons with brain injury, spinal cord injury and complex orthopedic injury. He is adept in areas of behavior management and community reintegration as well as cognitive and psychosocial rehabilitation as recommended by a variety of health care providers. Tina graduated with a Bachelor of Sociology and an inter-disciplinary study in Criminology from the University of Waterloo. She has completed Acquired Brain Injury Certificate Level I and Neuro-Cognitive Behavioural Approach Level II certificates in addition to on-going professional development through conferences, seminars and collaborative learning. Wesley graduated from the University of Physical and Health Education in Poznan, Poland with a Masters Degree in Physical and Health Education. Wesley has furthered his training in Community Based Rehabilitation through Brock University in collaboration with the Ontario Brain Injury Association. Wesley has substantial experience working with clients suffering from Acquired Brain Injury offering community based rehabilitation, personal training and aqua-therapy. 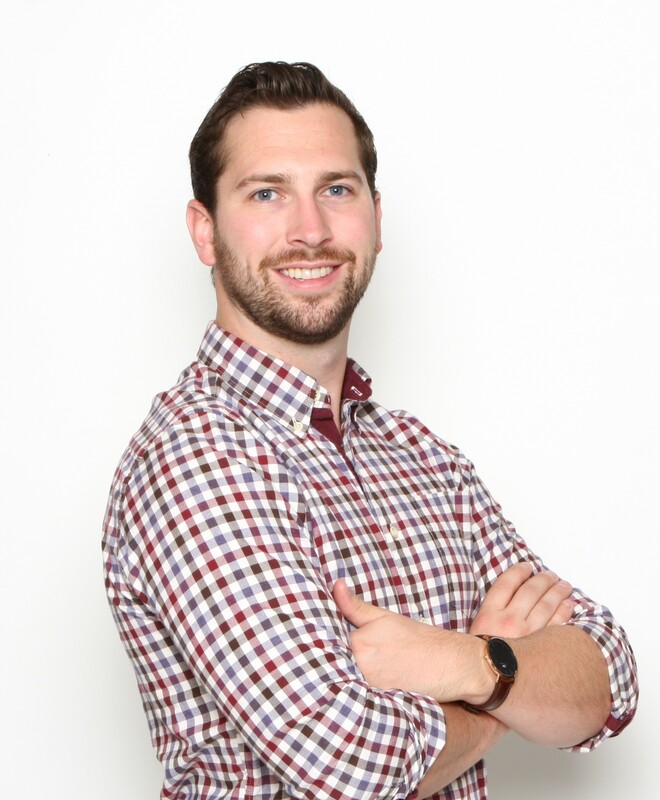 He enjoys empowering clients to regain their independence and collaborating with clients and their team members in developing comprehensive individualized rehabilitation programs. Carrie is a bilingual (English and French) Registered Social Worker with considerable clinical experience in the community, public and private sectors. After obtaining her social service degree at Dawson College, Carrie completed her Bachelor of Social Work at McGill University. Carrie is currently undergoing a Master’s degree in Counselling Psychology from Yorkville University. Carrie has experience partnering with clients and their family units to help them cope with various traumas such as acquired brain-injury, spinal cord injury, loss of loved ones and chronic pain. The consequences flowing from these traumas may include PTSD, adjustment disorders, depression and addictions. In her treatment repertoire, Carrie includes different treatment modalities, including Dialectical Behavioural Therapy, Cognitive Behavioural Therapy, Motivational Interviewing, and Systemic Desensitization. Carrie lives in the London area and enjoys spending time with her partner, traveling, baking and swimming. Julia earned a Master and Bachelor Degree in Social Work at King’s University College at the School of Social Work. She obtained CBT certifications from Laurier University with a specialization in working with children and adolescents as well as a DBT specialization in working with families in crisis. Julia is also a Certified Trauma Specialist and is certified in hypnotherapy. Julia is passionate about providing the best care for her clients and their families and has experience in various clinical settings involving supporting clients with traumatic events including serious injury, ABI, spinal cord injury, life limiting diagnoses, as well as acute and chronic illness. Julia is experienced at partnering with clients to foster resiliency as they face the challenges of grief and loss. Through the utilization of various treatment modalities she is able to assist clients in coping with the various difficulties that arise from the adjustment process. Julia loves the outdoors and spending time with her family. Mai-Ling earned a Combined Honours Degree in Philosophy and English at Western University and then her Bachelors Degree of Social Work at King’s College School of Social Work. Mai-Ling has an extensive background in rehabilitation that includes geriatrics, spinal cord injury, amputees, and brain injury. She has practiced in a variety of social work settings including Child Welfare and Mental Health. Mai-Ling has an exceptional understanding of the adjustment process and the changes that a family undergoes when someone they love is hurt or distressed. Mai-Ling is passionate about her work, family, four-legged friends and painting. 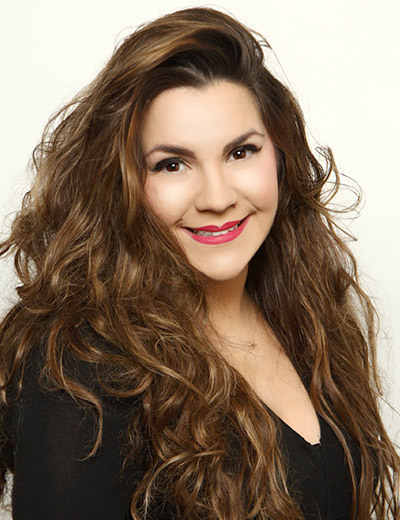 Born and raised in St. Thomas, Aimee obtained her diploma in Dental Assisting at George Brown College in Toronto. She transitioned from being a dental assistant into the chiropractic health care field, then into the legal world working for the government. Aimee has completed many health care programs including Reflexology and Deep-Tissue Aromatherapy Massage. At Novus Rehab she is happy to have her medical, legal and administrative backgrounds combine. Aimee enjoys living in a small friendly community with her son, watching him play sports and being a chauffeur to his many activities. Baseball is the family passion, and opposing team favourites only makes the season more interesting. Aimee enjoys spending quality time with her family and friends, curling, scrapbooking, playing basketball in the driveway and doing yoga. Jaimie attended creative writing courses through the University of Western Ontario while completing the Law Clerk program at Fanshawe College. Jaimie’s experience has taken her from the insurance world and personal injury law where she specialized in Accident Benefits to the Medical/Legal field. Her expertise in these industries assists medical, legal and insurance professionals and clients in obtaining the best possible assistance in dealing with the everyday mechanisms of the auto benefits sector. When Jaimie isn’t chauffeuring her teenage daughter to dance classes she enjoys retreating to the country on weekends to spend time outdoors with her family, hiking, running and enjoying the views.